It is a good thing, to see a child with a healthy imagination. A child who can play without having some sort of technology involved. That is a rarity in this world nowadays. Kids need to remember their imaginations, and play inside them, like Abigail. Abigail is a little girl who knows how to have fun using her imagination. She goes on all sorts of adventures and learns new things along the way. 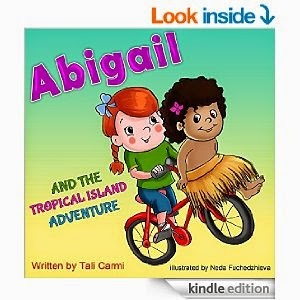 In this book, Abigail heads to a tropical island. In case you weren't tipped off by the title! As soon as Abigail gets to the tropical island, she meets Lelei. Lelei then shows Abigail how you can hear the ocean when you put a shell up to your ear. It is Lelei's birthday so they head to her party. When they get there, they find out that something has happened. Abigail then uses her mind and imagination to power the party. She then parted with a gift from Lelei and headed back to the real world. This is such a cute book. It is easy for my youngest to read. She really enjoys the books in this series and I do as well. My older children even come around and listen so they can tell me what they think of the books as well! This book is very well written and great for young minds. 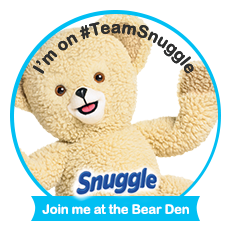 You need to head on over to the product page on Amazon by clicking here. From there you can learn more about the book, see what other people are saying about it, and buy a copy for you and your kids!! I received this product for free in exchange for my honest and unbiased opinion/feedback/review.